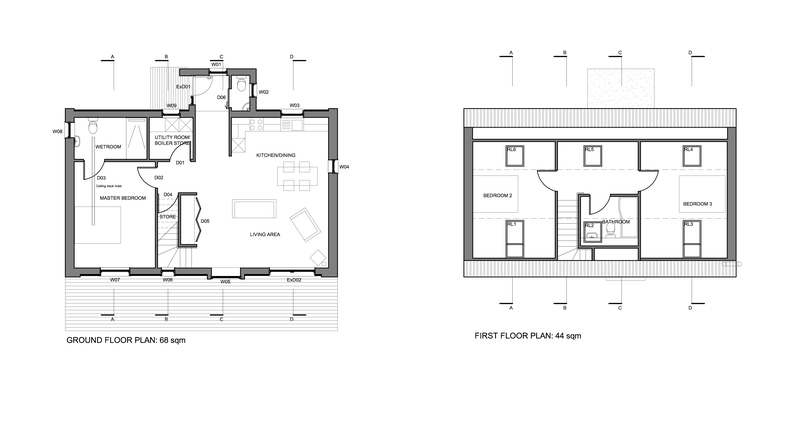 Work is well underway on site to build this new 3 bedroom family home. 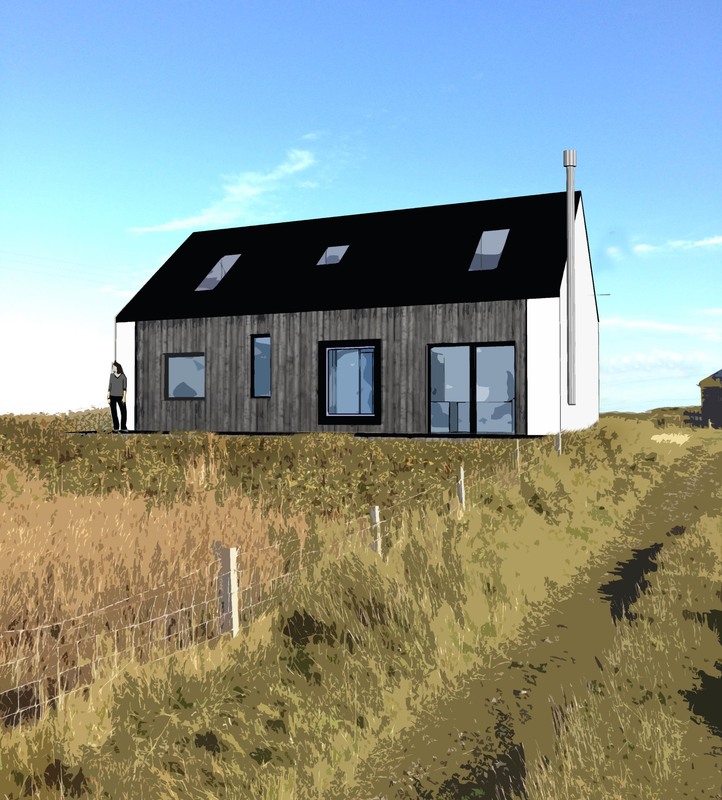 The design is a compact open plan arrangement that enjoys views to the west shores of North Uist. 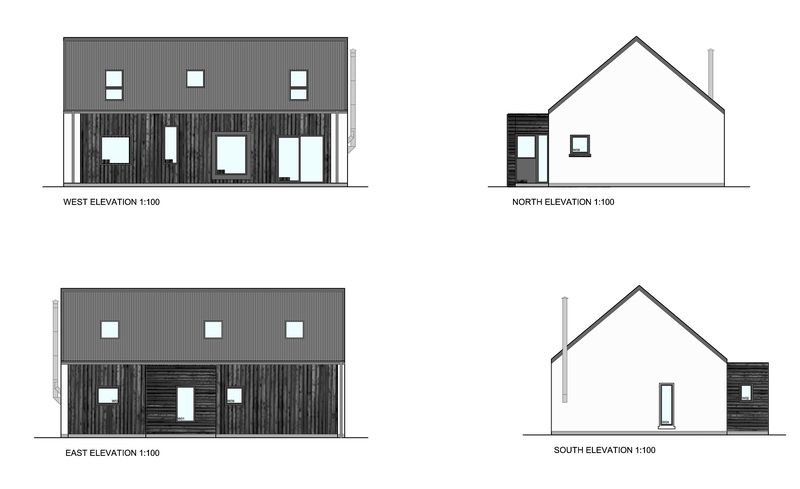 The house is clad in both render and naturally weathered larch. The roof is clad in fibre cement profile sheeting. The house is now wind and watertight and first and second fixing are progressing well.